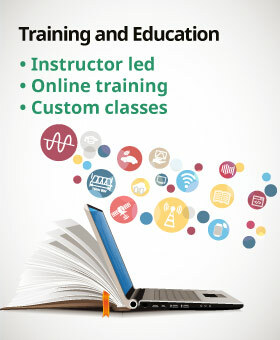 * Available for certified countries and regions including USA, Canada, Japan and all EU countries. 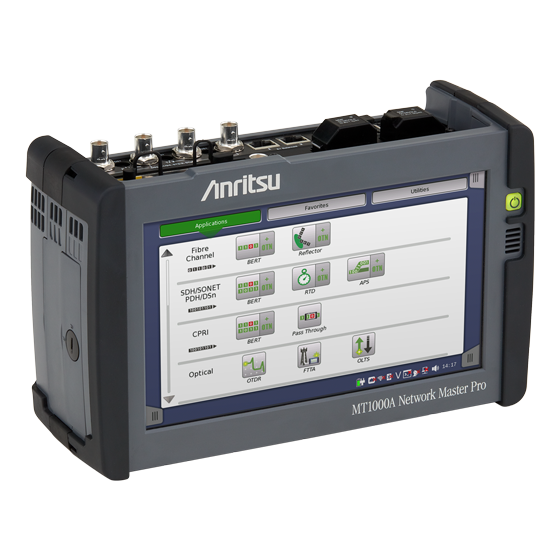 The compact, battery-powered and easy-to-use Anritsu MT1000A provides everything needed to install and maintain communication networks in a rugged, field portable package. This lightweight instrument simplifies the daunting task of collecting and interpreting data with an easy-to-use GUI and clear summaries allowing users of any skill level to operate the instrument to its full potential. The MT1000A is multi-function tester that can be configured with an array of transport testing functions and OTDR modules to ensure you have the tools you need today plus the expandability for future technologies – all of which are field upgradeable. The MT1000A transport module provides robust Ethernet/IP client service verification using industry recognized benchmark test applications driven by IEEE, MEF & ITU-T standards bodies in an intuitive, easy to use graphic interface. It supports both electrical and optical Ethernet/IP industry standard interfaces from 10Mbps to 100Gbps in a scalable platform configured to your network requirements. The Network Master can generate, monitor, capture and report a variety of Ethernet/IP Client services including voice, data and video services. Also supported are Ethernet, IP, MPLS and PBB-TE packet transport as well as circuit based transport. The Network Master enables you to deliver confidence in your Ethernet/IP client service performance as your network grows and evolves with your business demands. Today's communication networks are becoming more and more sophisticated as leading network operators install new technologies like OTN, MPLS-TP and Ethernet in their metro and mobile backhaul networks as well as eCPRI/IEEE1914.3/CPRI/OBSAIUPDATED in mobile fronthaul networks. In some cases, operators must also support Fibre Channel links, while still keeping legacy technologies like SDH/SONET and PDH/DSn operational. The Network Master Pro MT1000A redefines the direction of future test platforms by bringing these network test requirements to a portable device, making it the ideal tool for field testing. 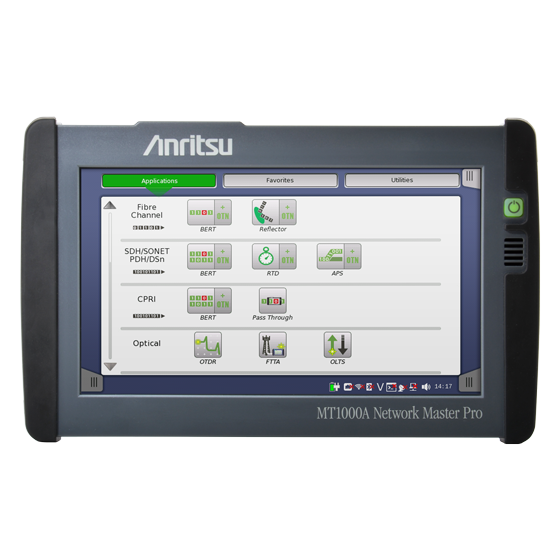 The compact, battery-powered and easy-to-use Anritsu MT1000A with Transport Module MU100010A/MU100011A has everything in a single, handy tester needed to install and maintain communication networks from 1.5 Mbps to 100 Gbps. The MT1000A is a powerful and full toolset for testing OTN signals. It supports complete Bit Error Rate (BER) tests with bulk signals at the OTN level as well as tests all the way to the Ethernet, CPRI, Fibre Channel and SDH/SONET client signals mapped into the OTN signal. The portable, compact, lightweight MT1000A makes network field testing easy. Service engineers can read and interpret data from the tested network directly on the 9-inch color display with easy-to-understand indications and graphical symbols. And the GUI makes it simple to configure and operate the instrument at its full potential. The worldwide spread of mobile devices, such as smartphones and tablets using SNS, video streaming, etc., is causing an explosive increase in data traffic volumes. Mobile network base stations are configured using various methods, but the antenna radio section uses an optical fiber to connect the BBU an RRH passing via a general interface called the CPRI/OBSAI. The need for optical fiber fault finding and transport quality tests increases as the Mobile network environment becomes more advanced. Installing the 10G Multirate Module MU100010A/100G Multirate Module MU100011A and OTDR Module MU100020A/21A/22A in the Network Master Pro MT1000A supports all-in-one optical fiber fault finding and transport quality tests. Using the MU100020A/21A/22A, scratched or dirty connectors at fiber cable connections can be detected as fault locations from the excessive optical reflections to support fault finding and troubleshooting of Mobile optical networks. Additionally, work efficiency is greatly improved using the Fiber Visualizer function supporting Easy-to-Use/Easy-to-Report testing. 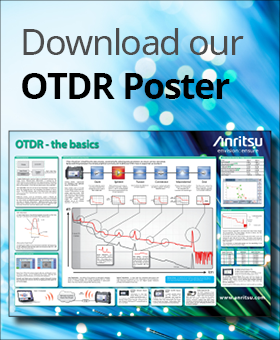 Generally, depending on the optical fiber measurement environment, OTDR measurements require multiple settings such as distance range, pulse width, measurement time, etc., making work difficult for technicians who do not generally use an OTDR. When performing Pass/Fail evaluation of an optical circuit for a report, a simple intuitive GUI is key to improving work efficiency. The MU100020A/MU100021A/MU100022A emphasizes easy-to-understand operability using three application measurement modes: OTDR Measurement, FTTA Measurement, and OLTS Measurement. The OTDR measurement results are displayed as a trace showing the optical fiber length, losses and size of reflections, as well as an easy-to-view summary of the analysis results on the Fiber Visualizer screen. The user can set any threshold value for each event. If the Pass/Fail evaluation settings prescribed in the engineering manual are set beforehand, the measured optical fiber loss status can be easily distinguished visually at the same time as measurement ends. Comparatively short optical fibers of around several hundred meters in length are usually installed at the Mobile fronthaul FTTA. In this type of measurement environment, measurements made by different operators under different conditions commonly have inconsistency problems at later data processing. At FTTA measurement, the optical fiber installation measurement conditions are fixed previously, so measurements are always made under the same conditions whoever is performing measurement. Like the OTDR measurement function, each measurement result can be analyzed at the Trace and Fiber Visualizer screens. The Construction mode measurement greatly simplifies through its innovative wizard. In particular, this is very effective function for user when multi-fibers construction is the task at hand. The ability to auto name and save the traces using a wizard, this allows the ability to adjust naming based on test direction, wavelength and fiber number. This minimizes the required user input especially on large fiber count cables which require testing on multiple wavelengths. Ensures no lost data and minimizes required input from the onsite engineers. At measurement of the optical Physical layer, the first basic measurement is loss measurement using a light source and power meter. With a built-in light source and power meter as standard, the MU100020A/MU100021A/MU100022A can be used as an optical loss test set (OLTS). In addition, measurement results can be managed at the Loss Table for Pass/Fail evaluation of individual data based on set threshold values. The MU100040B CPRI RF module for the MT1000A Network Master Pro adds CPRI RF measurements to Anritsu’s transport and fiber test platform. The modular design of MT1000A means that it can be configured just for CPRI measurements or combined with the 10G/100G transport module and OTDR module to create the most comprehensive and versatile fiber and transport tester available. Moving the radio to the tower top and hosting the BBU at the base of the tower or in remote hotels increases network flexibility and performance as well as reducing costs. The increased spectral densification that has been implemented with the roll out of LTE networks as well as overall spectral congestion has made these networks vulnerable to interference and intermodulation. This network degradation may first show up when monitoring KPIs. Especially for dropped calls and reduced data throughput. MU100040B CPRI RF module displays the LTE spectrum of the uplink or downlink of Alcatel Lucent/Nokia, Ericsson and Huawei radios. By monitoring the LTE uplink spectrum on the CPRI uplink, it is possible to monitor for interferers from ground level. The MU100040B CPRI RF module for the MT1000A Network Master Pro provides the ideal instrument for this application. Two SFP (small form factor pluggable) optical transceiver ports. 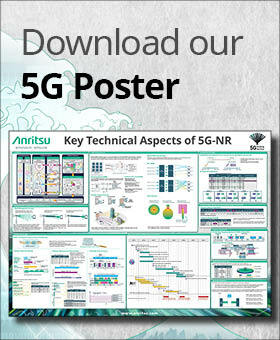 The architecture of cellular networks is evolving rapidly. Demand for greater data throughput from the network and the need to reduce operating costs has led to the implementation of networks that separate the radio from the baseband units. By moving away from traditional macro cell sites in which ground based radios are connected to tower mounted antennas by long RF cable runs, to using a Remote Radio Head (RRH) at the tower top connected to a BaseBand Unit (BBU) at ground level, the deployment of the cell site can be much more flexible. BBUs can be located locally at the host cell site or grouped together at BBU hotels up to 25 km from the RRH. This “Hotelling” of BBUs allows radio resources to be allocated dynamically, greatly increasing network efficiency. The interface between the BBU and the RRH is typically a fiber optic cable supporting the Common Public Radio Interface (CPRI) communication standard. The CPRI standard delivers a high speed serial interface with low latency required for LTE network roll out. Separating the RRH from the BBU has the benefit of reducing the power consumption in the cell site equipment room and reducing the demands on air conditioning, greatly reducing operational expenditure. It also potentially reduces or even eliminates the need for long RF cable runs that can result in significant radio signal losses. Testing the CPRI link between the BBU and RRH introduces new challenges for the field technician installing and maintaining the network. As the radio may now be located at the top of a tower, access to RF measurements could require the use of a certified tower climbing crew. However, by tapping into the CPRI link, RF measurements can be made from ground level without the need for any tower climb. The MT1000A supports testing of OTN lines at the client signal level with Ethernet, CPRI, Fibre Channel and SDH/SONET signals. The MT1000A can also test OTN lines at the line rate with bulk signals. The user can identify problems at all levels in the OTN signal, solving OTN issues efficiently, reducing system downtime and reducing operating expenses for network operators. The MT1000A is a comprehensive solution for easy testing, installing and faster troubleshooting of Ethernet lines up to 100 Gbps which can help lower operating costs such as cutting additional truck rolls, tech support calls and customer churn to improve operating expenses. The MT1000A supports Synchronous Ethernet testing and analysis of both Synchronous Ethernet technologies: SyncE (ITU-T G.826x) and PTP (IEEE 1588 v2). The user can quickly identify problems at all levels in Synchronous Ethernet, solving issues quickly, reducing system downtime and customer churn and improving operating expenses for mobile operators. The MT1000A is the perfect tool for deploying Fibre Channel up to 16 Gbps and it also supports OTN, Ethernet, eCPRI/IEEE1914.3/CPRI/OBSAIUPDATED, SDH/SONET and PDH/DSn. The MT1000A gives the user less equipment to maintain and learn, helping to reduce operating expenses. The MT1000A is a powerful and easy-to-use tool for testing SDH/SONET. PDH/DSn systems can be tested directly or embedded into SDH/SONET. The MT1000A can support new and legacy technologies, leaving the user less equipment to maintain and learn, and reducing operating expenses. Optical connector inspection and reporting ensures network quality. The MT1000A supports optical connector inspection via a USB-based probe. This ensures that optical connectors are free of damage and contaminants to ensure they will provide the system performance demanded by today’s high bandwidth applications. Base station installation requires confirmation of the optical fiber installation and evaluation of the data quality using real data, plus a final report verifying the work. Conventionally, this has required multiple measuring instruments for each work stage. Since optical connector reflections have a major impact on data quality when using CPRI interfaces, in addition to measuring optical fiber return loss, the BER must be measured using actual CPRI data and the CPRI link must be verified. In addition, the IQ data during CPRI communications is confirmed as necessary. Optical connector reflections have a major impact on data quality of GbE and 10GbE networks. Consequently, in addition to verifying optical fiber return loss and Ethernet circuit quality using BER measurements, IEEE1588v2 also specifies the need for time synchronization tests. By supporting all these tests, the all-in-one MT1000A increases work efficiency and cuts installation testing costs. With the new CPRI RF module installed in the Anritsu Network Master™ Pro MT1000A, wireless carrier engineers and technicians responsible for optical fiber testing, and solving interference and PIM issues have a single handheld solution for accurate and efficient LTE CPRI testing and verification of the latest generation of tower mounted radios (Remote Radio Heads). Support for all leading RRH radios is provided by the new CPRI RF module. It allows the Network Master Pro MT1000A to conduct RF-based LTE measurements over a fiber optic CPRI link at ground level, eliminating the time-consuming and costly process of climbing a tower. Designed with two SFP ports, the RF module allows CPRI Spectrum, CPRI Spectrogram, SFP Data, and CPRI Layer 2 Alarms and Optical Power measurements to be made. Automating test site work procedures helps reduce operation and evaluation errors. 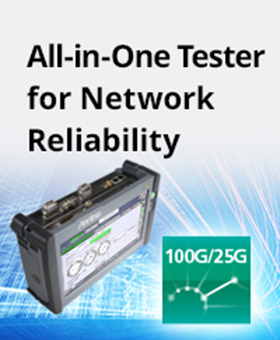 Network Master Pro MT1000A is a multi-platform I&M tester. It supports to up to 100G transport module, three kinds of OTDR module and CPRI RF module. Network Master Pro MT1000A is a multi-platform I&M tester. Registering onsite test procedures and equipment in the MT1000A supports one-button operation by field technicians. 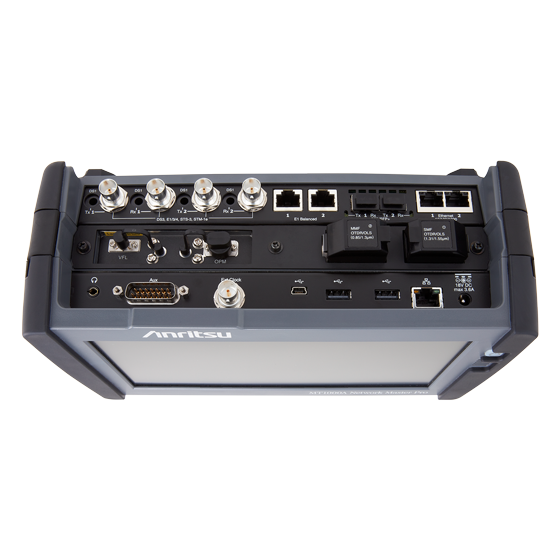 The compact, battery-powered and easy-to-use Anritsu MT1000A with 10G Multirate Module MU100010A has everything in a single, handy tester needed to install and maintain communication networks from 1.5 Mbps to 10 Gbps.